All of Adfabs steel gates are hand crafted by our team of specialist fabricators. 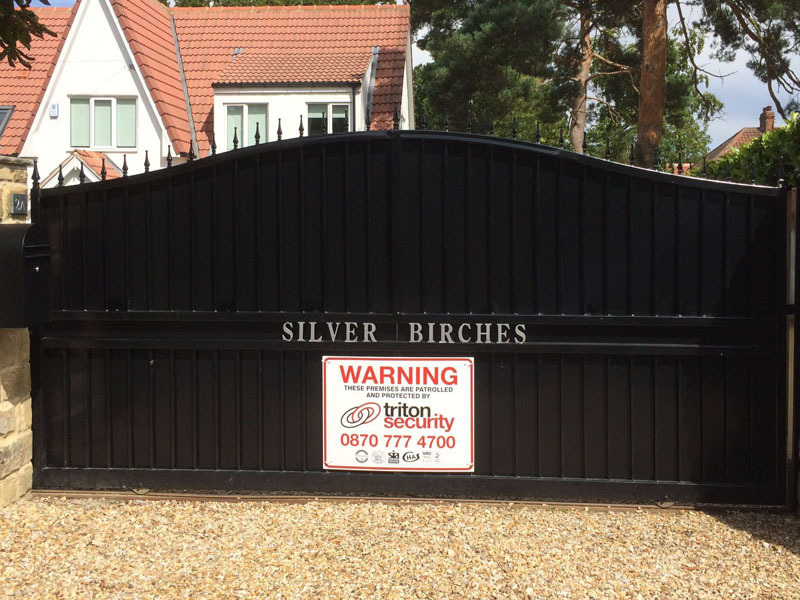 Our automated security gates are bespoke and made to suit individual customer requirements. All of our gates are then fully galvanised to prevent against rusting and then powder coated to provide a very high quality durable finish. 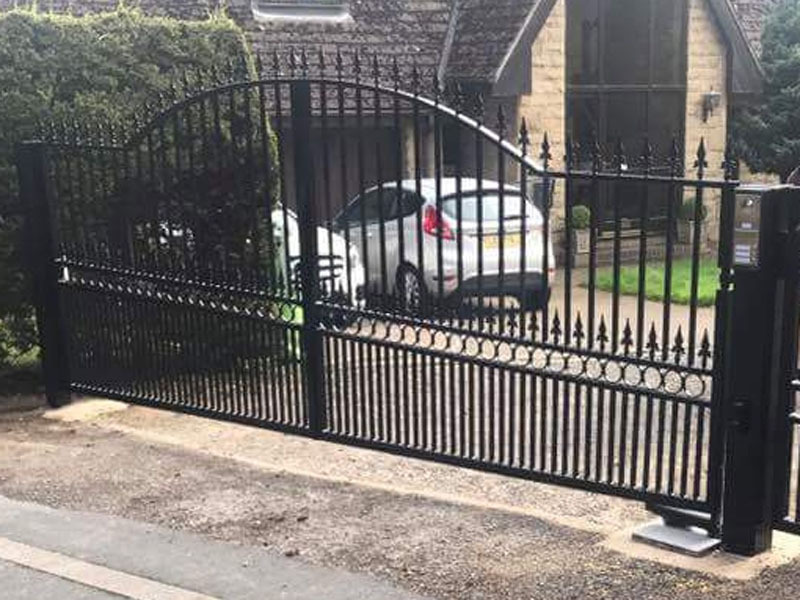 One of the most common forms of security is electric gates, with crime on the up the only way people feel safe is to have electric gates installed and the results are very promising. 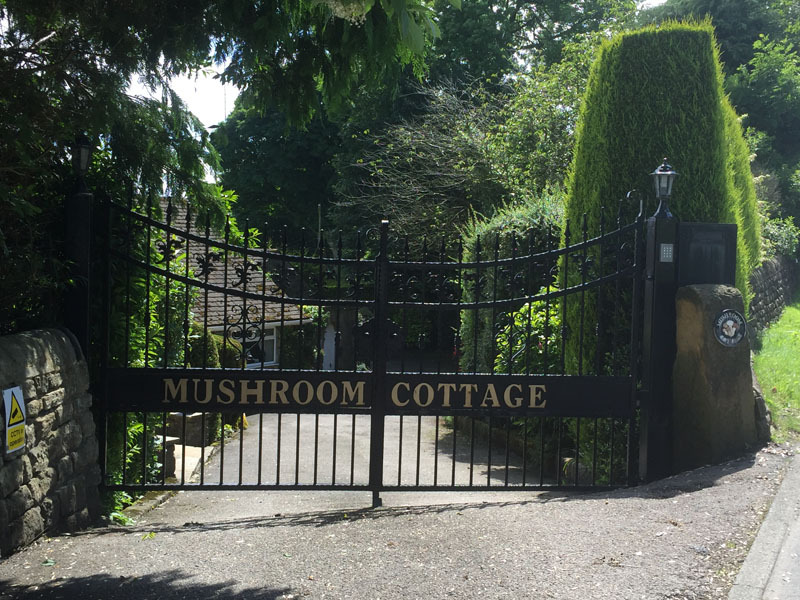 This is the main reason automated gates are now found in cities and smaller homes across Yorkshire. People see them as a great investment with endless benefits. The correct size of the gate and hinges are chosen for each job taking into consideration the weight of the gates and the amount of use the automated gates are likely to receive. We can then advise you what gates would be suited for your needs and your design. We offer you a complete service where we do everything from designing to installing or repairing and maintaining.